AT&T paid $105 million to settle allegations by the Federal Trade Commission (FTC) that it profited from stuffing subscribers’ bills with premium texting fees. 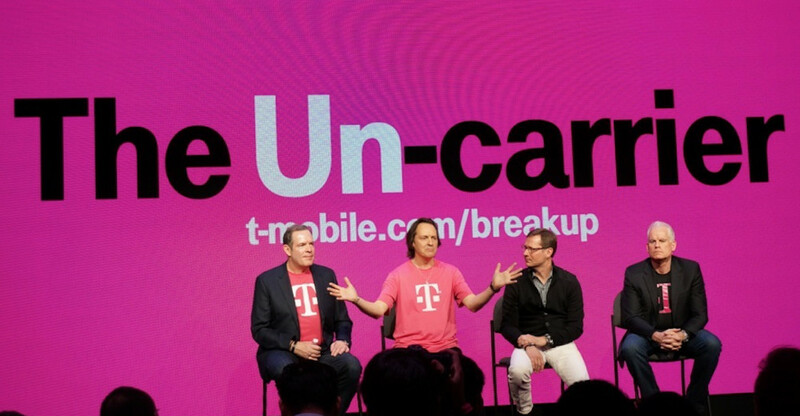 Now it’s T-Mobile’s turn. Facing identical charges, the “Uncarrier” announced last Friday that it would set aside millions of dollars to reimburse affected subscribers and satisfy fines. Under the terms of an agreement with the FTC and all 50 states’ attorney generals, T-Mobile will pay back $90 million or more to customers hit with unauthorized charges. In addition, it will cough up a collective $22.4 million in penalties, $18 million to states and $4.5 million to the Federal Communications Commission (FCC). Last Friday’s development signals the end of a saga which began in July, when the FTC filed a complaint against T-Mobile as part of a widespread crackdown on “cramming,” the carrier practice of obfuscating charges for so-called premium SMS services, such as horoscopes and ringtones. It accused the carrier of taking a 40 percent cut of every third-party fee, pocketing millions of dollars since 2012 and failing or refusing to issue refunds until last year. T-Mobile, along with Sprint, AT&T, and Verizon, agreed to stop billing for many premium text messages in November 2013, ostensibly to help combat fraud. Coincidentally, T-Mobile’s decision to settle came on the heels the Consumer Protection Bureau’s announcement that it would sue Sprint for alleged cramming. The only wireless provider which hasn’t raised the ire of regulators is Verizon, but given the litigious climate, it’s only a matter of time until everyone pays up.